Welcome to Hidden Treasures of India! The Perfect India Tour Operator For Every Indian Dream Destination. We are an India Tour Company that offers the real experience of India brings out its authentic charms, which is why we named it “Hidden Treasures of India”. India being a diverse sub-continent, a tourist not only requires a tour operator in India, but a fellow companion who is equally enthusiastic about travelling and exploring the essence of India. Stretching from the snow capped mountains of the mighty Himalayas from the North, into the ancestral property of Kerala in the South, India is indeed a parcel of experience, different culture, legacy, Yoga and also the mouth peeled Indian cuisine. HTOI the top-rated India tour operator unveils India’s beauty and heritage at its best. When it comes to our approach, we’re proud to say we’re different to your average tour operator or travel agent in India. We offer something a little more special. Make your tour to India something special with our Hand-Picked Travel Gems for a once in a lifetime experience. HTOI being one of the best Indian tour agency must turn your trip enticing, filled with bonhomie and surprises (pleasant ones of course)! Are you prepared to get an Indian holiday? Choose from our top rated India tour packages or let us assist you with a Tailor-made tour bundle for India. A chance to explore the various architectural marvels as well as museums of the southern region of the country. Why Choose India for your Next Holiday ? India is a country of more than a billion people speaking 22 official languages and over 720 dialects including one of the oldest languages in the world – Sanskrit. Incredible India had more than 5000 years old civilization as “Indus Valley Civilization”. It has a vast range of cultures and diversity. If you travel by road, you will find the difference in the dialect, in the dresses and in the customs after every 15-20 miles, after various religious beliefs, a trip for the wonderland, the territory of mystics and Saints, could alter how that you perceive the Earth. The north, south and northeast parts of the country have their own different races and ethnicity. Almost every state has its own culture, festivals, folk music & dance, language, living, dressing and eating style. Apart from that India has lots of nomadic tribal community following the tradition of centuries and living one of the robust life but still carry their smile and always remains hospitable and warm. A tribal tour of Gujarat of Hidden treasures of India gives you best opportunity to experience the tribal life and culture of India. India has everything to offer to its visitors from Snow Covered Mountains to Deserts, Backwaters to Beaches and wildlife to Islands. There are 35 UNESCO world heritage sites which include some of the most beautiful monuments, and architectural masterpiece civilizations have ever created. Symbol of love Taj Mahal, Majestic forts of Rajasthan, Magnificent temples of South India, Temples of Khajuraho, Temples of Konark are a few to name here. India is among the best travel destinations for wildlife safaris. Almost half of the world’s tiger population resides in India known as Royal Bengal Tiger. Gir National Park of India is the last home of Asiatic Lions. India’s Wildlife is both abundant and diverse. More than 5% of India’s land is under forest cover. There are 103 national parks and 543 wildlife sanctuaries. The country is one of the 12-mega diversity areas in the world concerning Biodiversity. While you are reading this, we know you have already made up your mind and planning a trip to India, we invite you to explore our popular India Tour Packages. We are a leading India Tour Agency specialized in providing customized, private tour packages to India giving you a once in the lifetime experience during your India Travel. Our India travel company is favored by travelers all around the world and a consistent 5 Star rating speaks for itself. Hidden Treasures of India is a member of IATO & approved and recognised inbound Indian tour operator by ministry of tourism Government of India. Travelling is all about the experiences that come along with it; Our travel organization is focused on delivering surreal travel experiences to each of our clients. We derive contentment from client satisfaction through personal care and hospitality services we deliver to them on our tour. Happy clients, happy us! Common tourist destinations are no more in vogue. And so, we take you through India at its finest, with all its culture and traditions, through offbeat destinations and enthralling experiences! India is full of unseen places waiting to be discovered! Come and see the Unseen with us. Travellers always like to make the most of their trips. Keeping their best interest at heart, Hidden treasures crafts out the travel itineraries to suit the needs of these travelers and still provide the best travel experience of it’s kind. Tailor-made travel for guests is the priority. 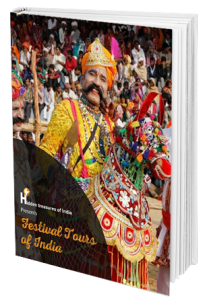 Come, Experience the Most Vibrant and Exciting Festivals Tours of India with us! Click on the button below to download the eBook! Continue reading "Travelling to India? 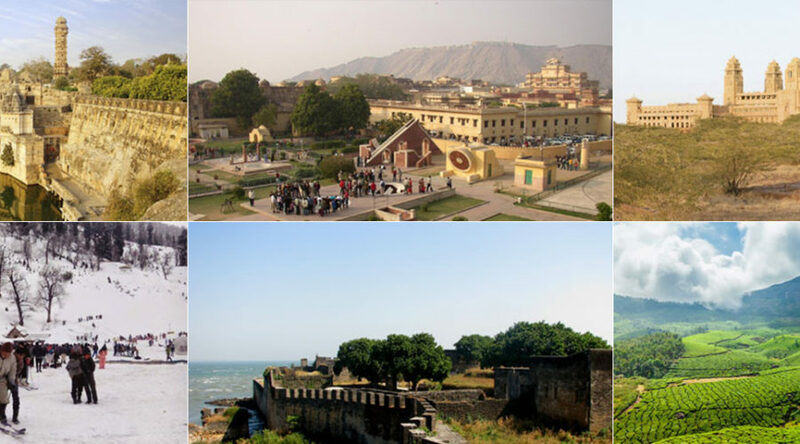 The Ideal Way to Explore Panoramic India"